5 of The Most Heartwarming Stories The Internet Just Can’t Get Enough Of! With all of the terrible news out there, we all could use a media-wide pick-me-up. Whether it’s Chick-fil-A proving once and for all that serving others is what they live for, or a neighborhood cop adopting a drug addict’s baby as his own, we have the power to share what matters. It’s heartwarming stories like these that recharge our soul and restore our faith in humanity. Check Out These 5 Heartwarming Stories the Internet Just Can’t Get Enough Of! 1. Ain’t nothin’ that’ll steal Loren Patterson’s joy. 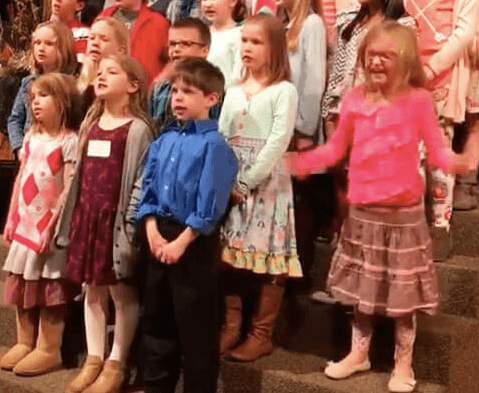 The 6-year-old from Burns Tennessee won the internet late last year when a video of her performing in her church choir concert went viral for ALL the right reasons. The heartwarming clip features a carefree Loren, STEALING the show with the group’s performance of “Ain’t Nothin’ That’ll Steal My Joy.” From beginning to end, this little cutie can be seen dancing, tapping to the rhythm, and pouring her WHOLE self into the performance, as the joy of the Lord radiates out of her. 2. 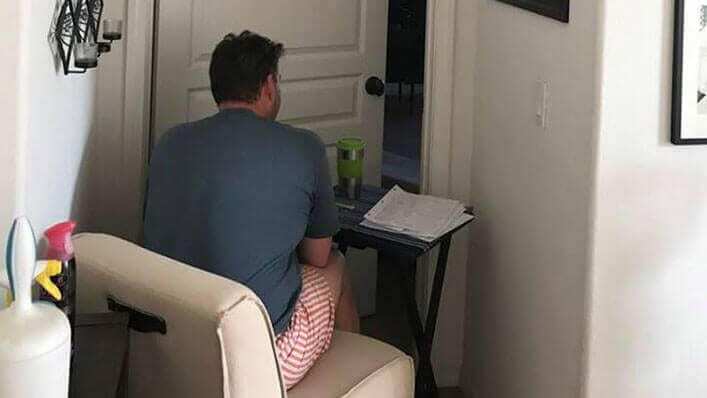 This devoted husband who just took #RelationshipGoals to a whole new level. After his wife was diagnosed with thyroid cancer, and had to remain in isolation through her radiation treatments, Jon Newman proved what it meant when he vowed to love her in sickness and in health. The couple’s 17-year-old daughter, Mackenna, posted a heartwarming photo of Jon on Twitter, and it took the internet by storm. The family received an overwhelming amount of support from strangers who were inspired by Jon’s beautiful display of servanthood. But as for Jon, he’s simply living up to his promise of loving his wife well. 3. 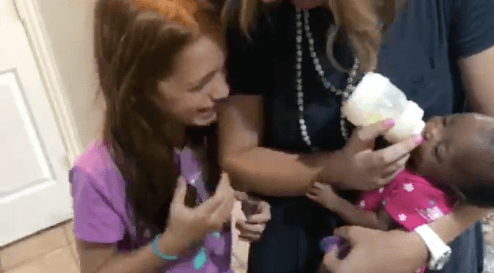 These parents who delivered the ultimate sibling surprise to their two daughters. 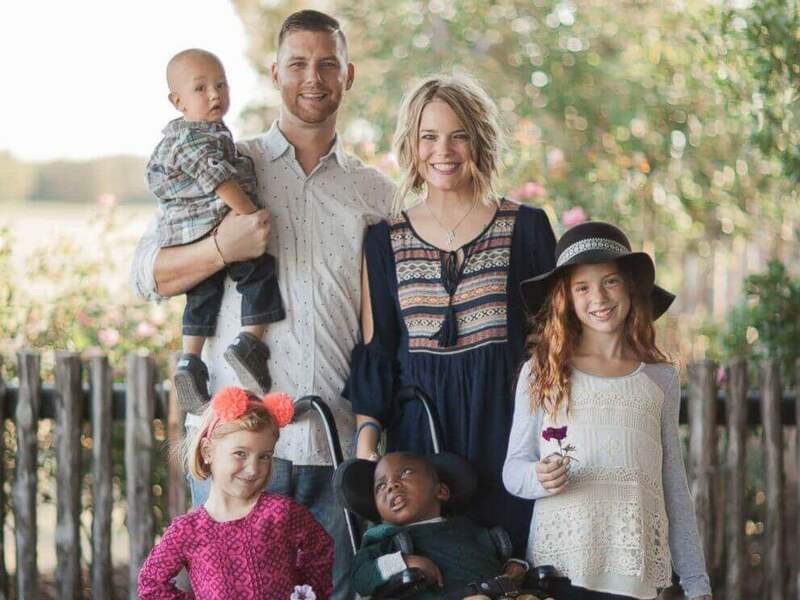 Shane and Kasi Pruitt had been working for 10 months to adopt another child into their family of six when they finally got the call that their daughter was ready to be picked up. The next morning, Shane and Kasi left the house early to pick up their little bundle of surprises, and returned a few hours later with the newest member of their family. Knowing that his two oldest daughters had no idea what was about to happen, Shane video recorded their heartwarming reaction—and it’s absolutely PRICELESS! 4. This heartwarming clip of a baby seeing his parents for the first time. It doesn’t take much to put a smile on someone’s face, but one sure way to do it is with one of the Internet’s millions of baby videos. Because who can resist a tiny human being doing something cute? 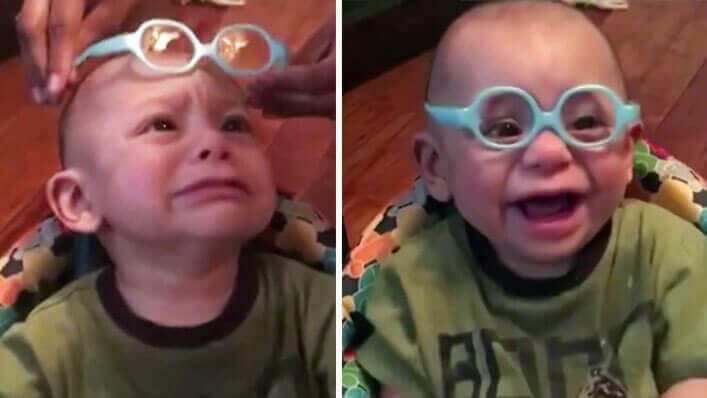 One heartwarming video the internet can’t get enough of, shows a baby named Christian, quietly fussing as his dad announces that they’re about to try on the infant’s first pair of glasses. The camera rolls as a woman slips the small blue spectacles over Christian’s head and the little boy SEES his parents for the very first time! 5. Sometimes you need a little church. Even if it’s in Sam’s Club. 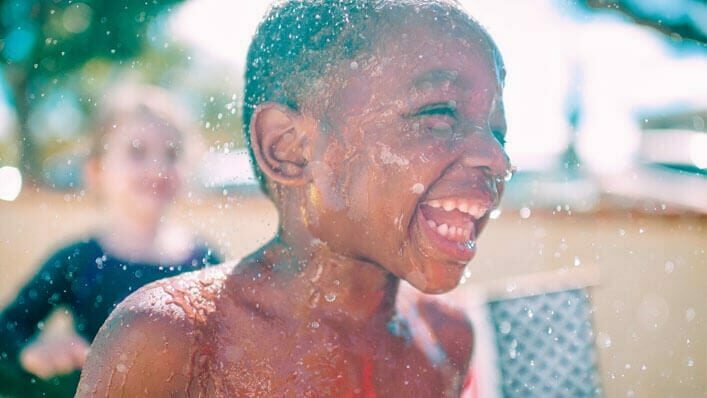 The big box store may seem like an unlikely place to break out in worship, but when the Holy Spirit is alive inside you, there’s no better place to give Him praise than right where you are. It all started when a shopper took to a keyboard display with her musical talents at a Dothan, Alabama Sam’s Club. The piano attracted shoppers from all over the store, where they gathered around the keys and joined her in praise! 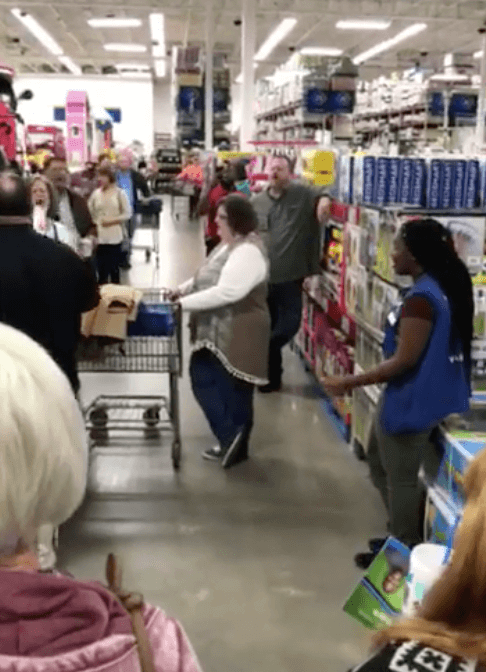 One of the Sam’s Club employees even joined in, singing harmony and leading worshippers through later verses of the song. We all could use a little more positivity in our lives. Hopefully, these heartwarming videos are just what your heart needs today!